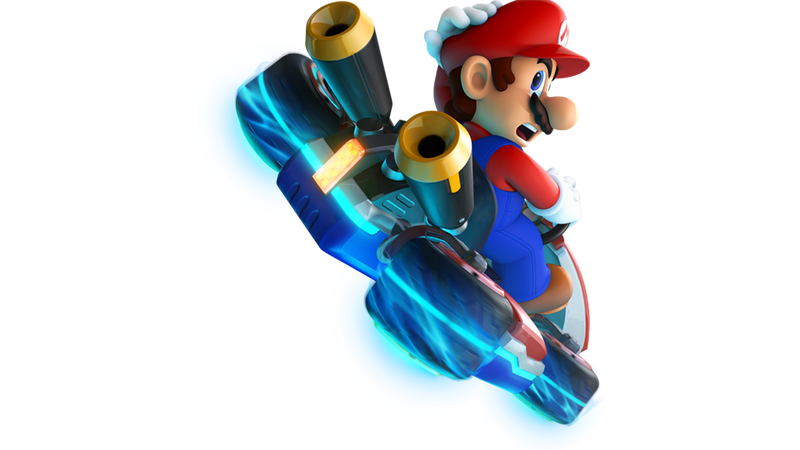 In a season of new Mario Karts and Donkey Kong Country games Nintendo hears the calls from supporters and critics to make something new. Their answer: we're already doing it. I don't believe in writing things I wouldn't say to the faces of the people I'm writing about, so after writing on Kotaku last week that Nintendo's E3 line-up of Wii U games was fun but felt safe, I said as much to Nintendo's chief game designer Shigeru Miyamoto and Nintendo of America president Reggie Fils-Aime. My somewhat snappy judgment came from having played Mario Kart 8, Super Mario 3D World, Pikmin 3, and Donkey Kong Country Tropical Freeze at Nintendo's E3 booth at the start of the week for about five minutes each. All looked and felt like their console or portable predecessors. All looked really good and played well. All had new ideas, some (EAD Tokyo's 3D World) more evidently in abundance than others (Retro's Tropical Freeze). Kotaku: One of my senses is that the games [you have at E3] are fun but they feel safe, like this is not a Nintendo taking risks this year. Is this a safe year for you guys? Shigeru Miyamoto, Nintendo: So I don't look at this as us playing it safe, because, whenever we make a game, we're striving to create new experiences for people. Certainly from outside the company and even internally we have a lot of staff members who are talking about, we should create new [intellectual property, as in characters or series]. To me the question really comes down to: What is new IP and, by definition, what is a new game? And I think there's a lack of understanding about the difference between the two. And so, from my perspective, a lot of people say, 'Oh, you should make new characters and those would be fun games,' but creating a new character doesn't necessarily mean the game is going to be fun. You really need to be focusing on creating a new gameplay experience that's fun and unique. And so even with a game like Pikmin 3 where our focus is on perfecting the Pikmin game design, we've really finally felt like we've created a new gameplay style even within the Pikmin franchise. Miyamoto: "To me the question really comes down to: What is new IP and, by definition, what is a new game? And I think there's a lack of understanding about the difference between the two." Kotaku: Sure. To me, it seems that each of the big franchises that you have is a formula. Super Mario side-scrolling games are a formula. Pikmin is a formula. Luigi's Mansion is a formula. Animal Crossing is a formula. Every time you release a new one, you're perfecting that formula or tweaking that formula. For me, something like Luigi's Mansion or Pikmin feels fresh because I haven't seen it from you—Nintendo—in 10 years, whereas a Mario Kart or a Donkey Kong Country game that Retro is working on, I feel like I just played that formula last year or the year before. And I sense that from our readers as well, that they feel not so much that they're looking for new characters but that some of these formulas...we feel like we're getting them again and again very rapidly. And that's where the sense that maybe you're playing it safe comes from. Do you see that? Miyamoto: So I guess when you explain it that way I could see how maybe some people might see it as a somewhat conservative approach, but we're always focused on creating those new gameplay elements. When it comes to those new franchises, we can look at something like Nintendogs. And, because in Nintendogs the character was a dog, people didn't really view that as new IP from Nintendo, and it was. And with Wii Fit, the same thing, people didn't really look at that as new IP. I think, from my perspective, we're always trying to do new things, so even if we're doing it within the same formula it's still a new experience. And, apart from that, I'm also working on a lot of other projects where I'm experimenting with new things. And some of them may be things like the Louvre museum project that I've worked on. I think perhaps there's a misunderstanding about the difference between of new IP and new experiences. Miyamoto: Yeah, I guess I understand there are some who wish we brought something new or some different ideas to E3, but at the same time, I also feel that people don't tend to recognize what we have done that is new. Because even something like Nintendo Land that I thought was very fresh and offered unique ways to play games, people don't recognize as being a new IP or taking a risk simply, because we didn't build a new story around it or introduce a new character around it. Whereas if we had taken that gameplay and had done it that way, people would have recognized it as a new IP. So I guess to a certain degree that is a little bit of the frustration. Kotaku: My reaction to the games you guys showed is that they were fun but it felt like you guys were playing it safe. Reggie Fils-Aime, Nintendo of Amerca: I saw that headline. Kotaku: What do you think? Are you playing it safe? Fils-Aime: You know that I like you a lot. I think that's actually a superficial analysis. And here's why I say that. When you look at the depth that's in Super Mario 3D World, the use of the different characters, the fact that different characters have different capabilities, the fact that it's a multiplayer game in a 3D space that EAD Tokyo does so well... that experience is a phenomenal experience. Donkey Kong Country Tropical Freeze, I think it's superficial to look at that game and say, well, it's just Donkey Kong Country. No it's not. New levels, new enemies, new ways to player underwater, I mean there's a lot more richness in that game. I could literally go through point by point. Fils-Aime: "The Wonderful 101, I think, can be magic in a bottle, and we're continuing to work on other new franchises." Fils-Aime: I think then what you're getting at is we are launching games within highly successful franchises. Mario Kart is a highly successful franchise. A franchise that on average I think the number is greater than five million units per SKU [version]. Super Mario does on average something like three million units per SKU. So these are big powerful franchises. And that is true that versus, Wii Sports or Wii Fit that were at the time brand new franchises that have also sold exceptionally well. All I can tell you is that, first, we've got some new franchises that we're about to launch. The Wonderful 101, I think, can be magic in a bottle, and we're continuing to work on other new franchises. A fair accounting by both men. Nintendo fans, what's your take? Is Nintendo doing enough that feels new? Is innovation within franchises under-recognized and the creation of new characters perhaps, as Miyamoto suggests, overrated? Coming tomorrow: Miyamoto's damsel in distress.